Late in the day on Friday September 18th, United States Magistrate Judge for the Middle District of Pennsylvania Karoline Mehalchick issued a proposed order denying Mumia Abu-Jamal’s motion for preliminary injunctionand his 1st Amended complaint seeking immediate treatment for active Hepatitis C.
Bret Grote (Abolitionist Law Center) and co-counsel Bob Boyle (NYC) are expected to quickly file in court with 3rd Circuit Federal District Court Judge Robert Mariani to oppose this proposed order on procedural and substantive grounds. 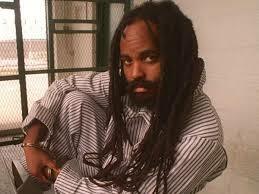 The proposed order is clearly an attempt to subvert justice and delay critical treatment for Mumia Abu-Jamal. It is simply intellectually disingenuous. A few quotes from the ruling will illustrate this point. In fact, Mumia has fulfilled all of the exhaustion requirements and the intent as well– and the DOC denied his grievance specifically, as we know through written record. Further, the “uncontroverted evidence” cited by the court completely ignores the facts in Mumia’s preliminary injunction and 1st amended complaint. This proposed order was also issued even before Mumia’s lawyers could respond to the DOC brief- which was full of blatant obfuscations and lies. In addition, Magistrate Mehalchick’s proposed order states that Mumia will not be irreparably harmed if he receives no care. Mumia’s 1st Amended complaint details his near death and hospitalization with renal failure on March 30, 2015. It also shows the extensive diagnostic tests which indicated organ failure (skin) and organ damage (liver), open wounds, hemoglobin deficiency, extensive fevers, and his continued weakness. Magistrate Mehalchick’s order goes on to state that the PA DOC should be allowed to implement their own “protocols” for hepatitis C for prisoners. This language purposefully misstates the facts. The truth is that the PA Department of Corrections has not produced a treatment protocol for Hepatitis C in their responses. This is because the current standard of care in the PA DOC is to deny appropriate testing and deliver no treatment. As such, Mumia’s lawyers, Bret Grote and Bob Boyle, will file in court to oppose this proposed order on procedural and substantive grounds. We remain completely confident that we will be successful in getting Mumia treatment. This entry was posted on September 22, 2015 at 4:39 am and is filed under Uncategorized. You can follow any responses to this entry through the RSS 2.0 feed. You can leave a response, or trackback from your own site.